KJSEmbed and QtScript aim to offer very similar functionality to applications. This presentation will discuss the similarities and differences between the two. I hope to illustrate the similarities in the approach of KJSEmbed for Qt 4 with that used by QtScript whilst highlighting the areas where the libraries differ. I will also compare the performance of the libraries when performing common tasks (for example the start-up speed of the interpreters and the run-time speed when executing scripts). 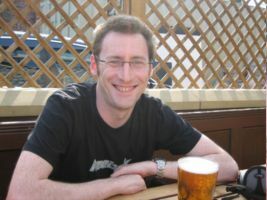 The Qt 4 version of KJSEmbed uses a heavily template based implementation developed by Ian Geiser. QtScript is similar, but uses the Qt meta-type infrastructure and some moc enhancements to achieve the same goal. Both libraries provide simple to use facilities for accessing the properties, slots and children of QObjects with almost identical APIs. In this presentation I hope to provide enough information for the KDE development community to make an informed choice about which framework will better suit the requirement of pervasive scripting in KDE 4. I have been working on KDE since its inception and have contributed code to numerous applications. In addition I am the author of several classes in kdelibs including KPassivePopup. I am currently employed as Principal Software Engineer at a company offering computer security services.